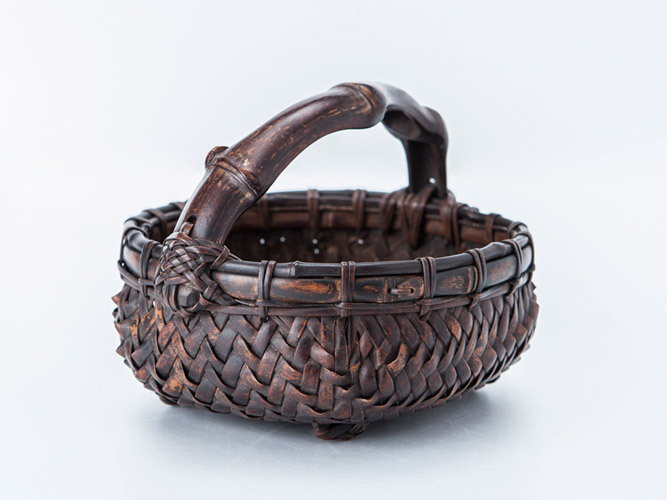 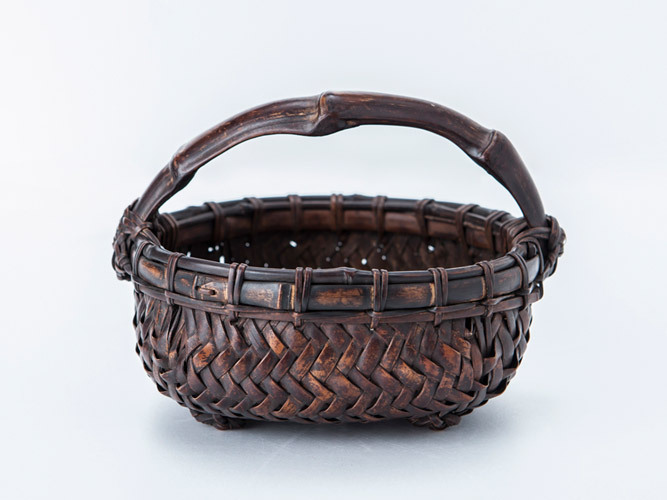 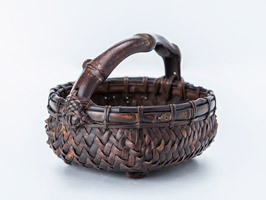 It is a very pretty bamboo basket in palm size. 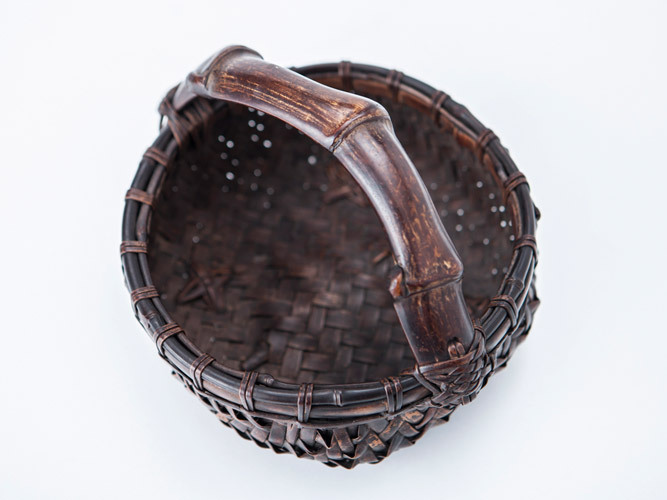 It becomes the very good atmosphere when I arrange wild grass and flowers in it. 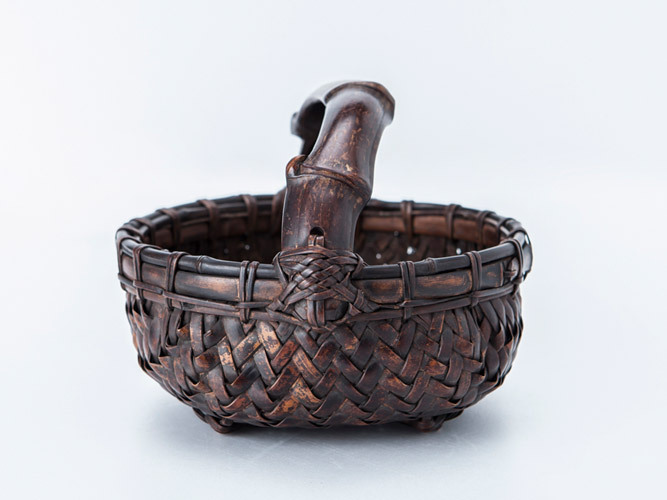 It is very attractive that root bamboo handle is large for such a small work. 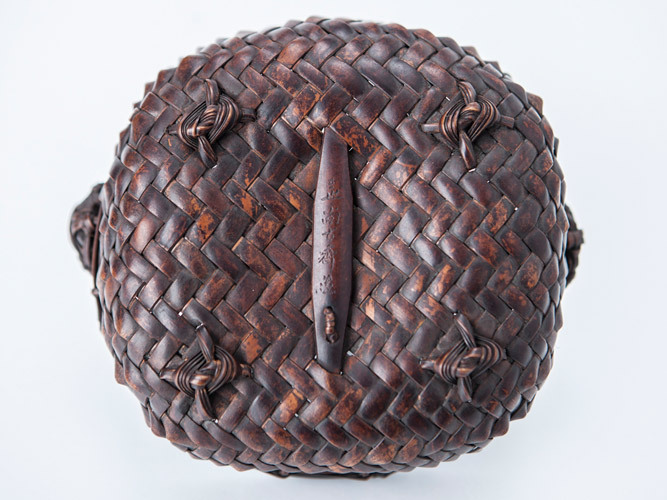 size 17cm-15.5cm-13cm(h) with original siged box.